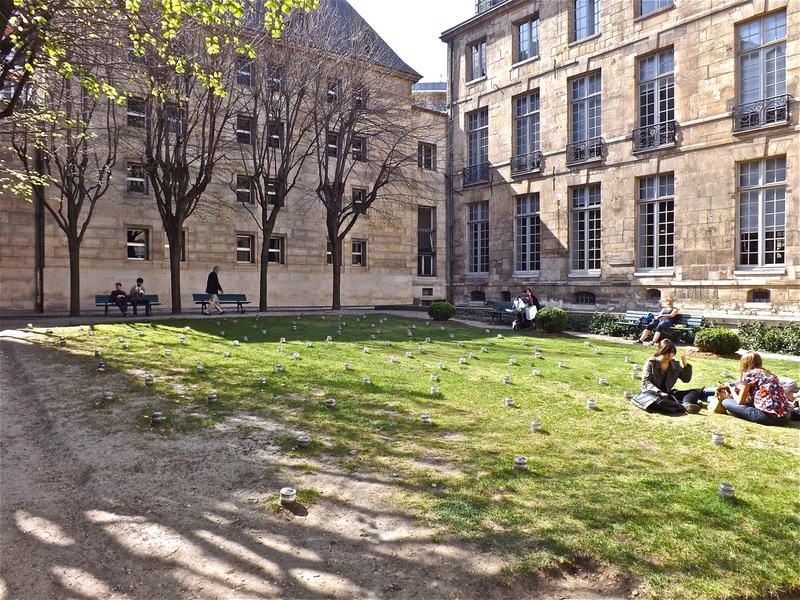 This is another little spot we came across on our one day in Paris last month. (We were on our way from Lyon to Brussels). 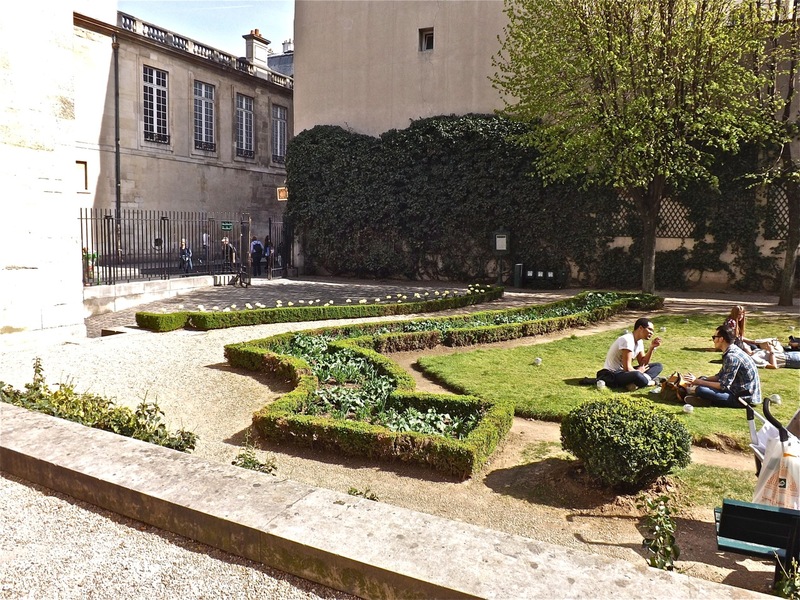 This petit park, which is the courtyard of the 16th c. Hôtel de Lamoignon in the Marais, is very traditionally landscaped with lined-up trees, clipped shrubs, decorative trellis, and lawn. 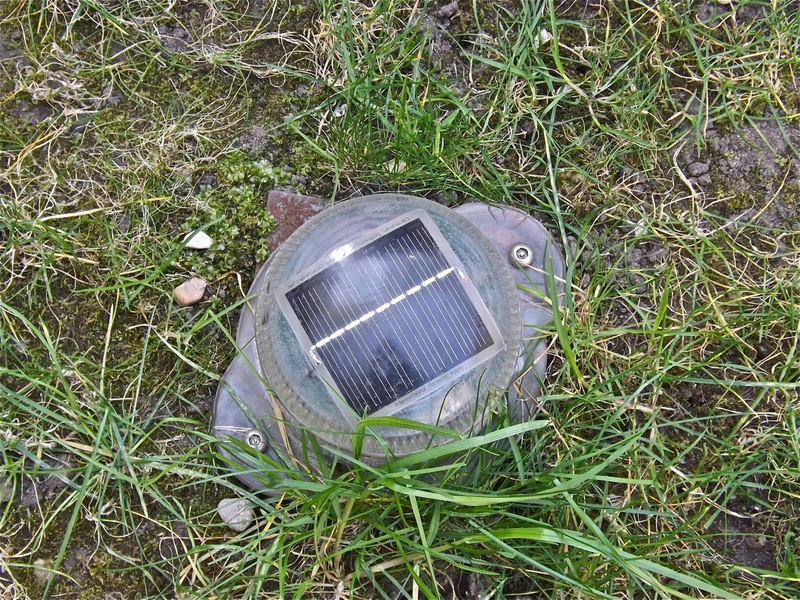 It’s nothing special, in fact — except that the grass is studded with dozens of small solar lights. 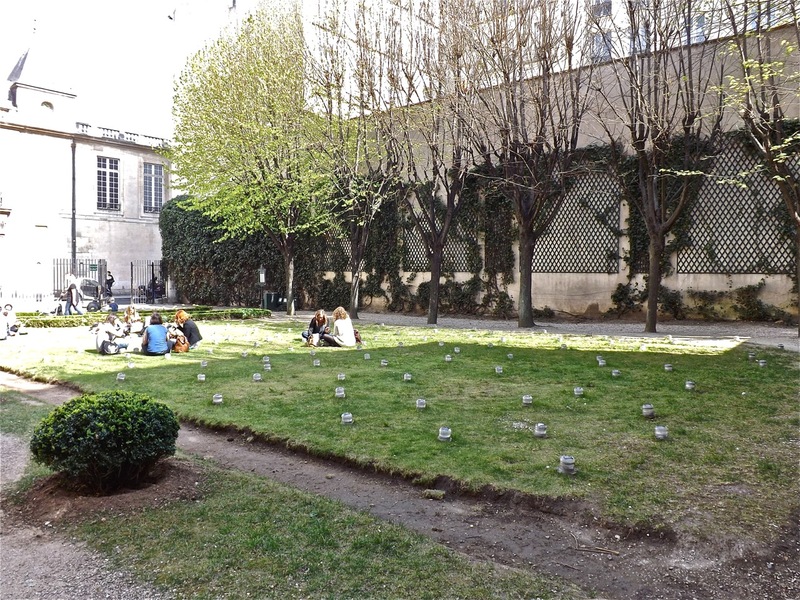 But the little fixtures didn’t stop anyone from enjoying the grass on such a warm March day. I couldn’t go back to the park at night, but I did find a photo on flickr. Photo by Philippe Payart under CC license, via flickr. 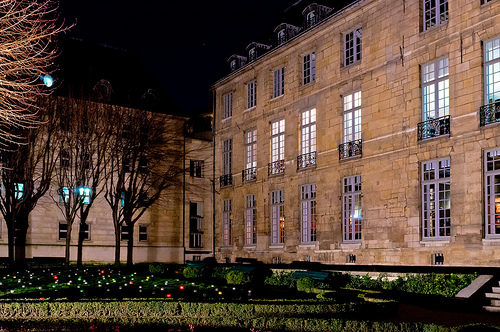 The courtyard is on the Rue des Francs Bourgeois, two and a half blocks west of the Place des Vosges.